It doesn’t Matter what style you are going to opt or what brand is opted for dress stitching always matters. It forms the base and determines the entire look of your dress. 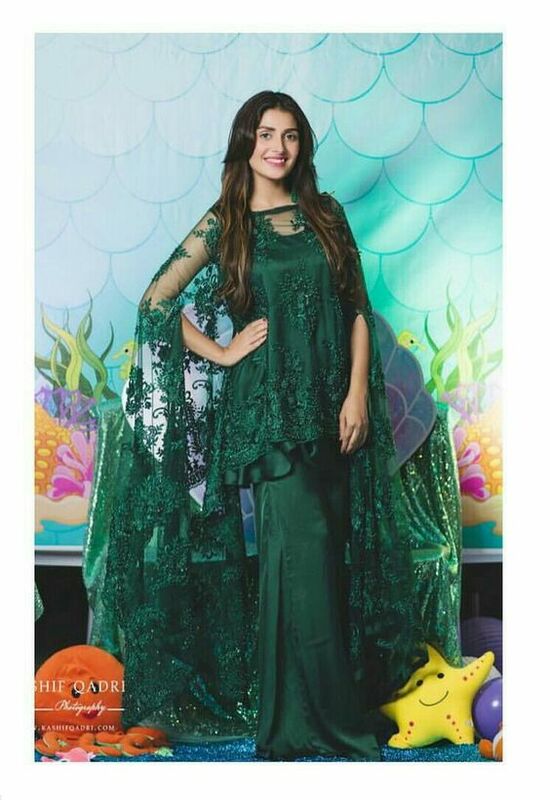 I have put down my little effort to make you know about the Latest Stitching Styles of Pakistani dresses 2018. Stitching is an art which implies the use of variety of techniques and cuts in order to give a final look to simple piece of cloth. Effective stitching of Pakistani dresses can make a dress more attractive and beautiful. Tailors or designers are playing with range of styles to making something special for ladies. With time, there is rapid advancement in Pakistani fashion industry and everyone wants to keep pace with the latest fashion trends. Especially, young girls and job holder ladies are much enthusiastic to try new and stylish casual, formal and semi-formal wears. If you want to have different and stylish look in order to stand unique among others then don’t worry, Designers have put their best already to give style to dresses. We can see that some trends have overtaken our society but on the other hand, old styles are also reviving themselves. The reason is their social, cultural and historical association and deep rooted love of young girls with our norms and traditions. Pakistani designers have also provided customers with range of stitching options and they embellish dresses with their consent. 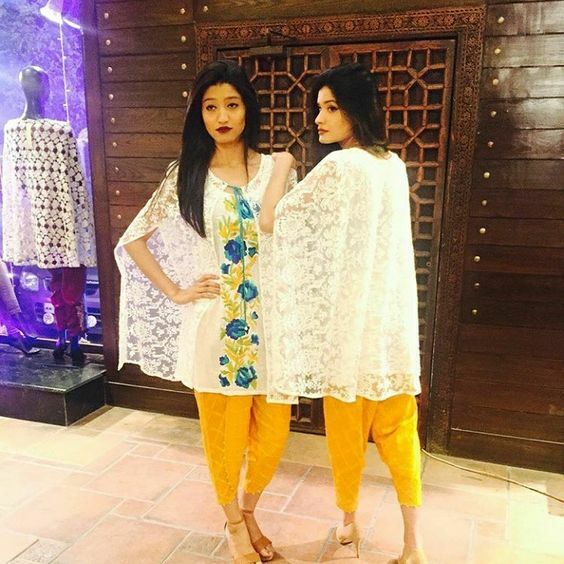 They have created a sense of dressing among public with their decent and elegant stitching designs of Pakistani dresses. These dresses can add beauty to your look and appearance. 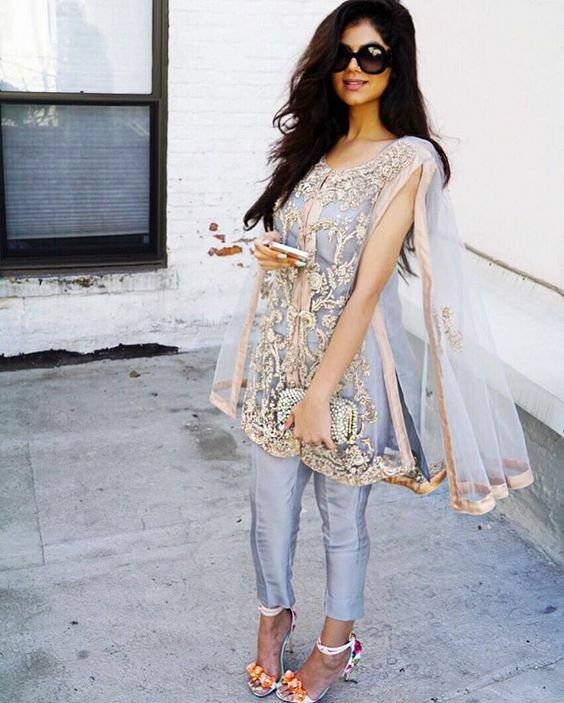 Pakistani dresses are known for the style and designs. Use of patches adds delicacy and beauty to your personality. Different neckline designs are also of great importance in stitching dresses. Famous neckline designs such as ban, collar, round, V-shape and square add more sophistication to the outfit. Dont forget to check it out new collection of trendy and stylish designs of Pakistani boutique dresses for wedding and party wear. Different leading designers have launched their new collection with latest stitching styles of Pakistani dresses. The main force behind the success of these designers is a hardworking and dedicated tailor. His perfect stitching skills and selection of creative styles and patterns using hand and machine embroidery, motifs and amazing themes can embellish cloth with stylish look. We are going to showcase different styles of stitching that you people can add to your dressing whether it is for summers or for winters. How many of you know these styles have huge demand in fancy attires also? 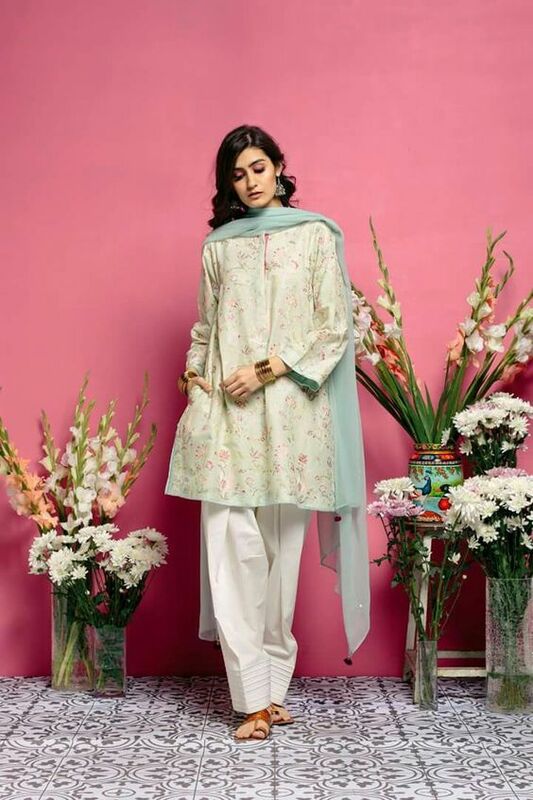 Check it out our Latest Stitching Styles of Pakistani dresses 2018 that we have gathered only for you. These days peplum frocks or shirts are in and ladies or girls dont miss chance for having this. Peplum styles are getting huge applause these days. Apart from large flare frocks, peplum shirts and frocks are selected at priority. You would get huge variety of peplum with belt as well. Angrakha stitching styles are getting recognition among ladies and they found this dress not only traditional but a cool one as well. So forget the long angrakha styles and opt short length shirt or frocks. Girls of all age groups are admiring these designs so it doesn’t matter whether you are wearing casual or fancy angrakha styles are popular everywhere. 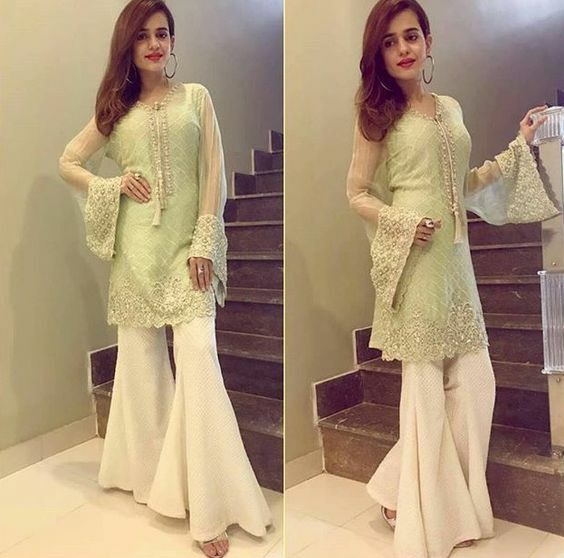 Generally in Asian wear, shalwar kameez is always in Pakistani fashion as it is our National dress and is best-suited for women of all ages. Also, wide range of plain and printed stuff is available for stitching kameez. Usually, lawn or cotton fabric is perfect to wear with shalwar, churidar pajama or tights and is most comfortable to wear. Kurtis and tunic dresses are perfect wear for girls who want to give themselves a touch of modernity while keeping the traditional norms in account. When we talk about kurtas then let me add one thing here these are free from fitting. Its up to you what color you are going to choose. Numerous designers have launched the Latest kurta designs for ladies and girls of all age groups. This is one of the ethnic wear which is loved on every occasion. 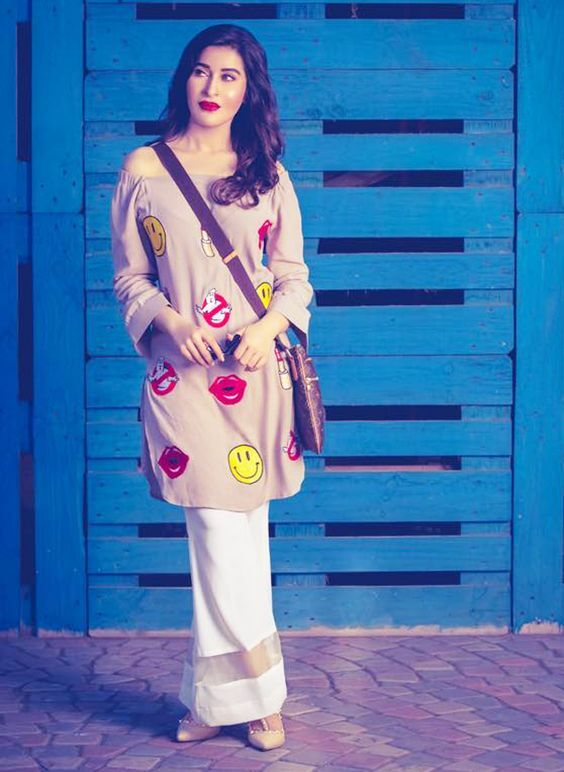 Embroidered or Plain Kurtas never go old in fashion. This type of shirts are quite common these day whether you people are opting summer or winter attires or preparing for some party wear. Jacket style shirts make your attire elegant and center of attention. This is something new that you all must need to try. Here we are going to show you what bottom styles are being stitched. Designers have revived the fashion and make it possible for everyone to have these fusions in our daily life. Check it out following styles. 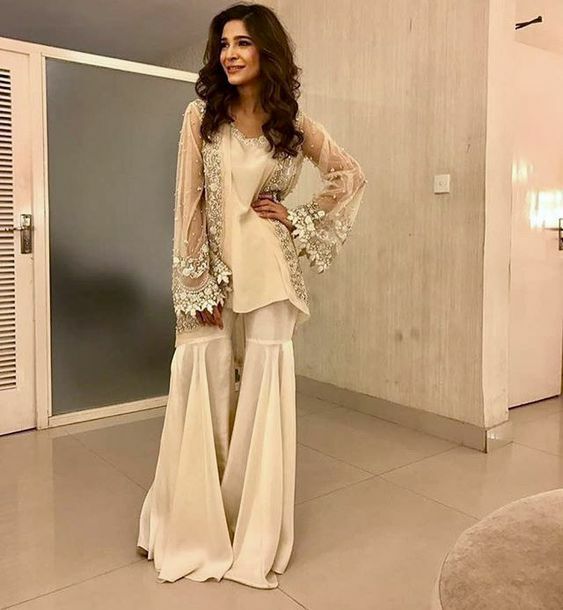 We all have welcomed the boot cut trousers in fashion and these kinds of pants have changed the bottom styles to some extent rather than having the same simple straight trousers. Different colors are available for this. Well, Bell bottom has been in the trend since last decade. This one is preferable for every occasion. Whether you people are opting this bottom style with fancy attire or casual one. It will enhance the appearance of your attire. 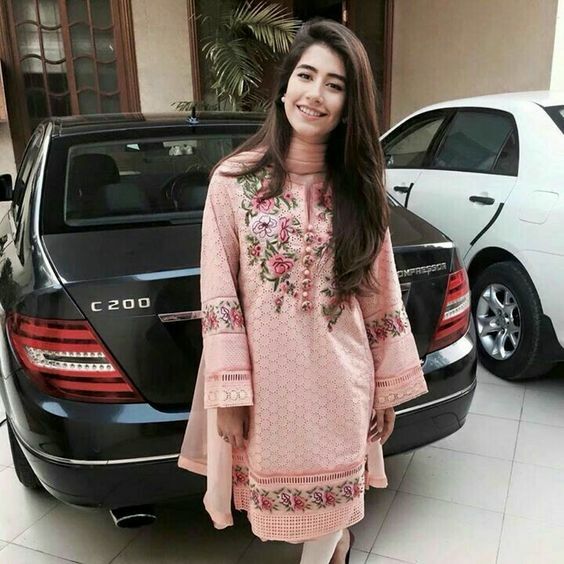 Shalwars are the traditional attire with Pakistani dresses and girls either wearing kameez or kurtas different type of shalwars are in the fashion. 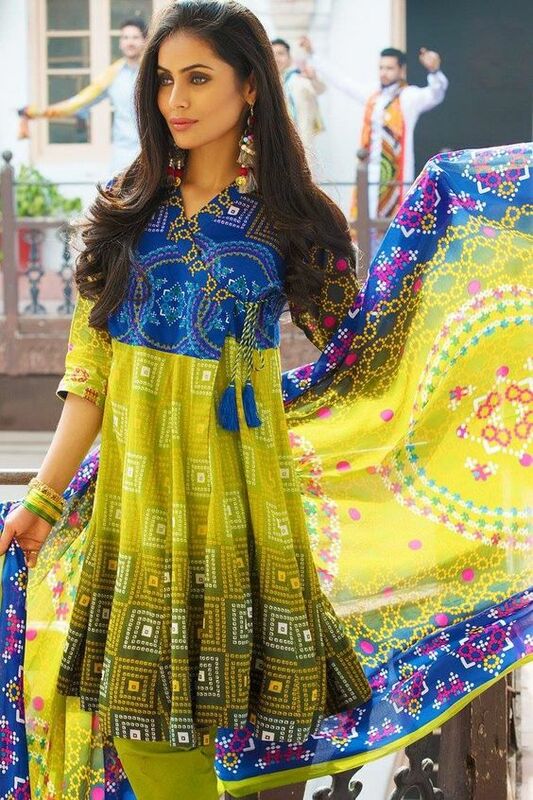 Do check our latest Indian or Pakistani shalwar suit designs that have gathered to give all the fashionistas a detailed ideas.